Perfect results have never been achieved more conveniently. Toronto, ON – May 4, 2018 - Miele Canada is proud to announce the Canadian launch of its most revolutionary laundry machines to date. The W1 series washing machines and the T1 tumble dryers set new standards with respect to cleaning performance, gentle fabric care and user convenience. 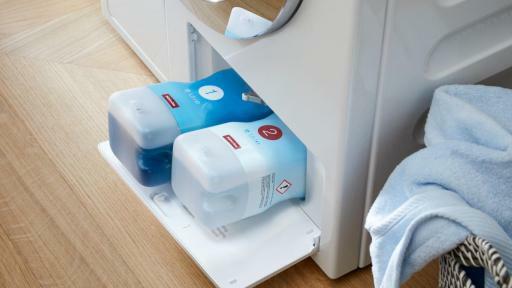 The Miele W1 washing machine with the Miele exclusive TwinDos is the first automatic two-phase precision detergent dispensing system. This feature operates in two stages with the UltraPhase1 removing soiling while the UltraPhase 2, a detergent enhancer containing oxygen bleach, is used to remove stubborn stains, such as red wine or coffee. Each phase dispenses separately the proper amount of liquid based on load size, type of fabric and programmed level of soiling and staining. Using the two phases, TwinDos is able to keep colors from fading while keeping white clothes bright and crisp. 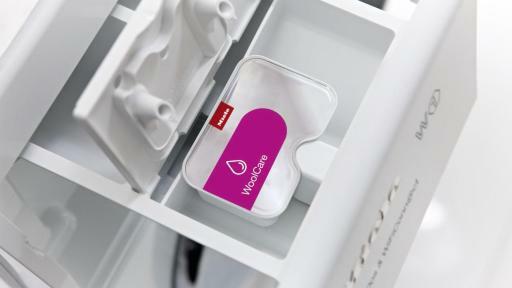 “From the very beginning in 1899, Miele has always been the specialist in laundry care,” said Yves Dalcourt, President, Miele Canada “This tradition continues with the all new W1 T1 laundry series featuring the innovation of our automatic detergent dispensing system – TwinDos, which ensures perfect results and convenience to consumers”. One of the star attributes of select W1 8kg models is Miele’s exclusive new QuickIntenseWash System. This innovative system delivers optimum cleaning performance by increasing previous wash performance by 10 percent in a fully-fledged wash cycle completed in under an hour. The QuickIntenseWash program maximizes cleaning and minimizes wash times with an additional circulation pump that repeatedly pumps water from the suds container into the inner drum to intensively drench the laundry. This pump is used in combination with a special drum rhythm to ensure laundry lies flat against the wall of the drum. 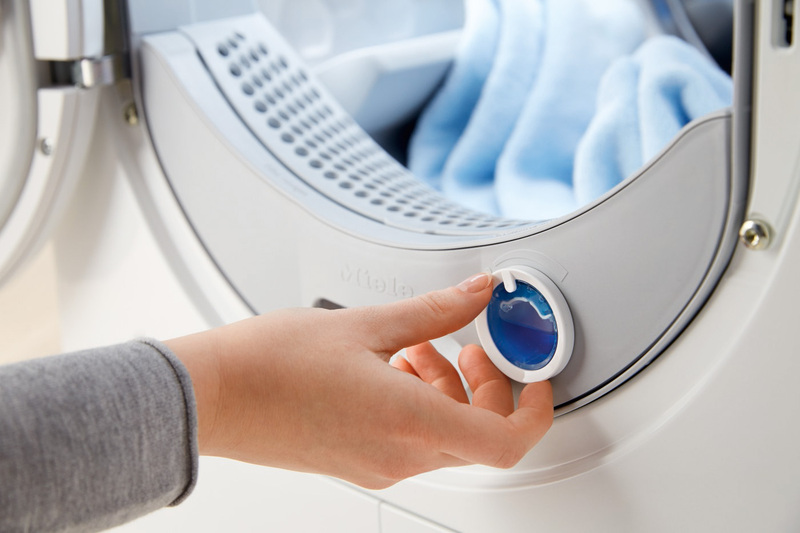 This innovation allows water and detergent to penetrate the laundry load quickly and evenly. 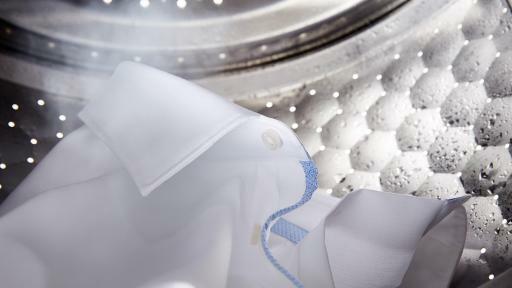 For more delicate and special fabrics that require care when washing such as wool, silk, water repellent jackets and parkas, Miele offers the CapDosing system. 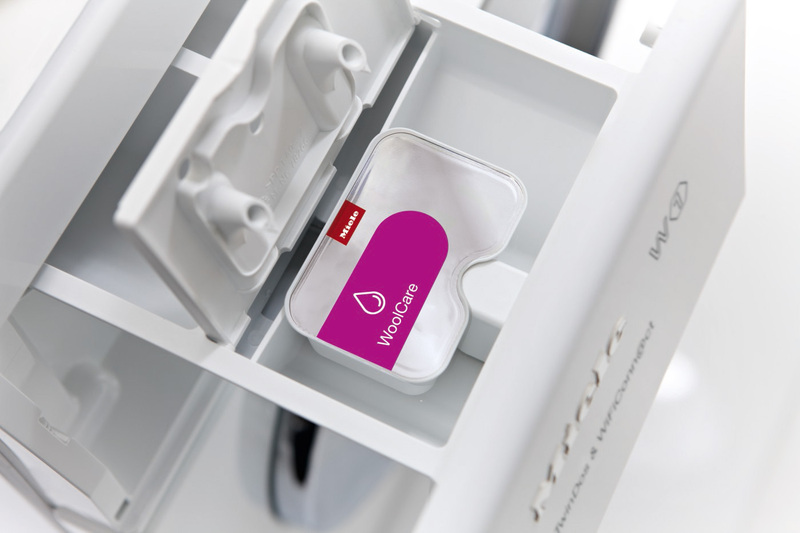 This capsule dispensing facilitates the precise use of conveniently portioned fabric detergents, additives or fabric conditioner. 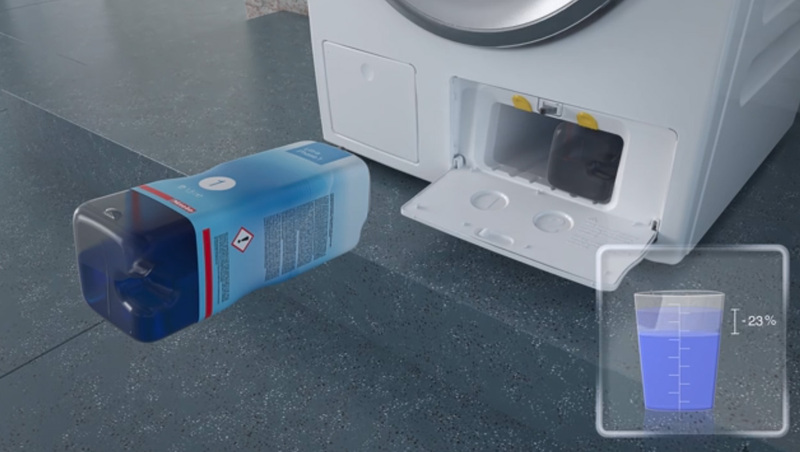 The capsule is simply placed into the fabric conditioner compartment and the washing machine automatically dispenses the detergent at the perfect time during the wash cycle. 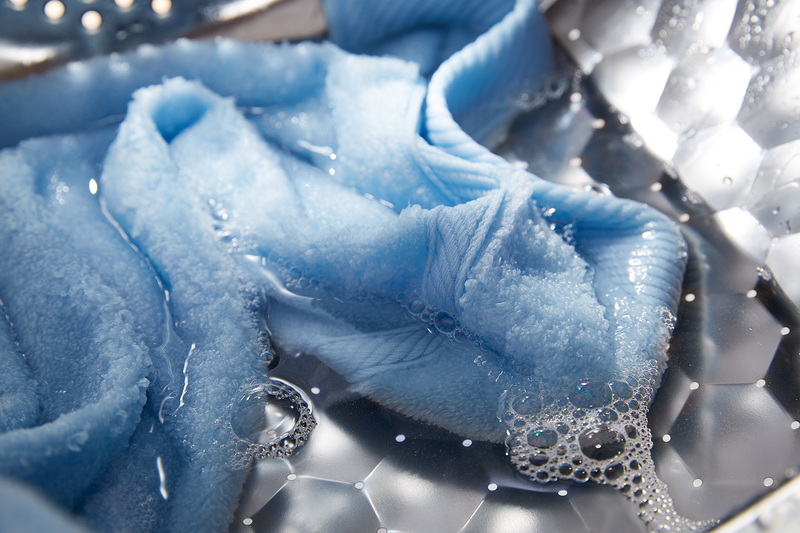 For the most gentle laundry care to give smooth textiles, T1 models feature Miele’s next generation Honeycomb drum, the new and patented Honeycomb drum that simplifies ironing. When the T1 ‘SoftSteam’ option is selected, the new drum is pre-heated to create steam. The drum has a sculptured surface with larger hexagons and wider channels to effectively and gently remove the wrinkles from the laundry even before the load is transferred to a tumble dryer. 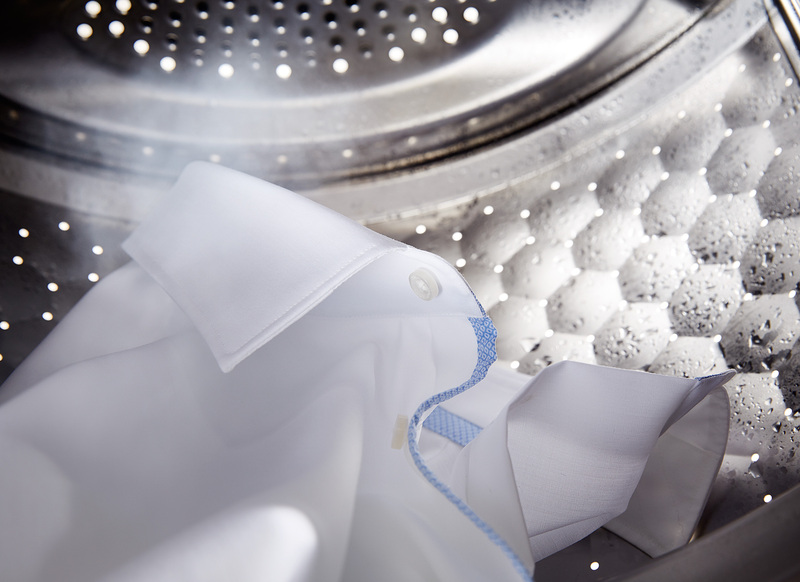 The Miele T1 dryer is a ventless dryer using innovative and efficient heat-pump technology. 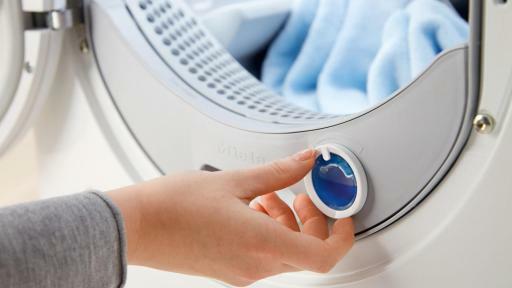 The low temperatures of the heat-pump technology protects the high-quality fibers of your laundry, requires less energy, produces less thermal output and does not require venting. The T1 heat-pump dryers are known predominantly for their energy efficiency and installation freedom. 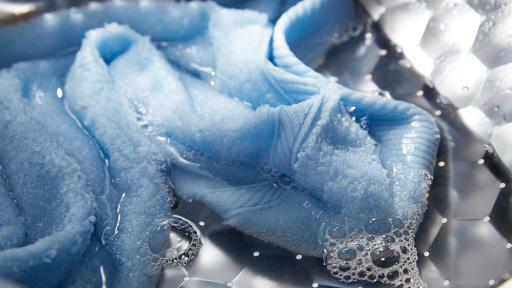 The exclusive FrangranceDos feature lends a pleasantly fresh fragrance to laundry (lasting up to 4 weeks) and is available in ‘Aqua,’ ‘Cocoon,’ and ‘Nature.’ The T1 also includes PerfectDry, which detects the amount of moisture in the drum to ensure proper drying which saves valuable time and energy consumption. 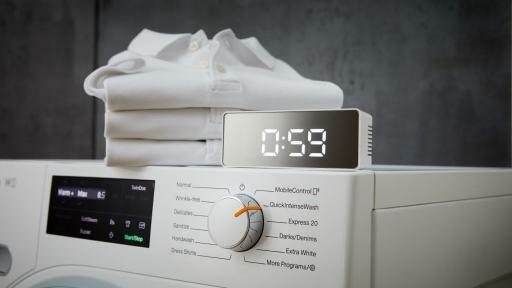 This new dimension in Miele laundry care presents a host of spectacular, world-first features that set unprecedented standards in cleaning performance, gentle fabric care and user convenience, together contributing to time saving and environmental sustainability. 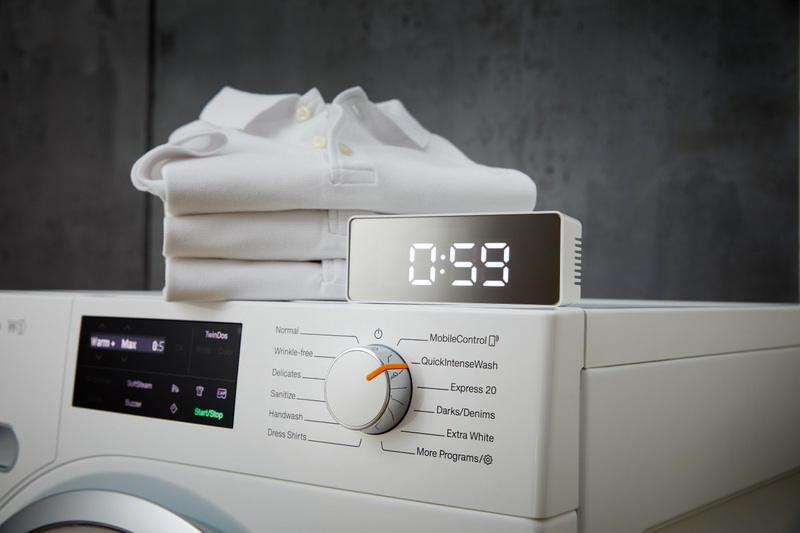 The W1 T1 series is linked to the Miele@mobile app, allowing the user to monitor their laundry system by providing machine status and providing a library that can recommend the most suitable wash, drying and rinse programs, all through the convenience of their mobile phone. W1 and T1 models showcase Miele’s new ProfiEco motor. Extremely energy efficient, this brushless, permanent-magnet motor is not only powerful but also maintenance-free and quiet. Furthermore, EcoFeedback on all W1 and T1 models tracks energy usage. Not only does it provide an exact consumption reading when a programme has finished but it also forecasts consumption prior to the start of the selected programme. EcoFeedback also conveniently indicates when cleaning of the filter is required, which is crucial to reduce consumption and cycle times. Perfectly complementing other Miele appliances, Miele W1 and T1 laundry appliances are complete with sleek new designs featuring intuitive user interfaces for simple navigation and selection of programmes. While new EasyOpen ensures W1 and T1 doors are simply pulled open without any electrical connection. Reinforcing Miele’s position as the laundry expert, the extraordinary new W1 and T1 Laundry Appliances, complemented by high quality Miele CareCollection detergents and accessories, deliver Miele’s total laundry care system when combined with the Miele FashionMaster steam ironing system. Delivering unprecedented quality and functionality, Miele’s revolutionary laundry appliances are German engineered and tested to the equivalent of 20 years usage. 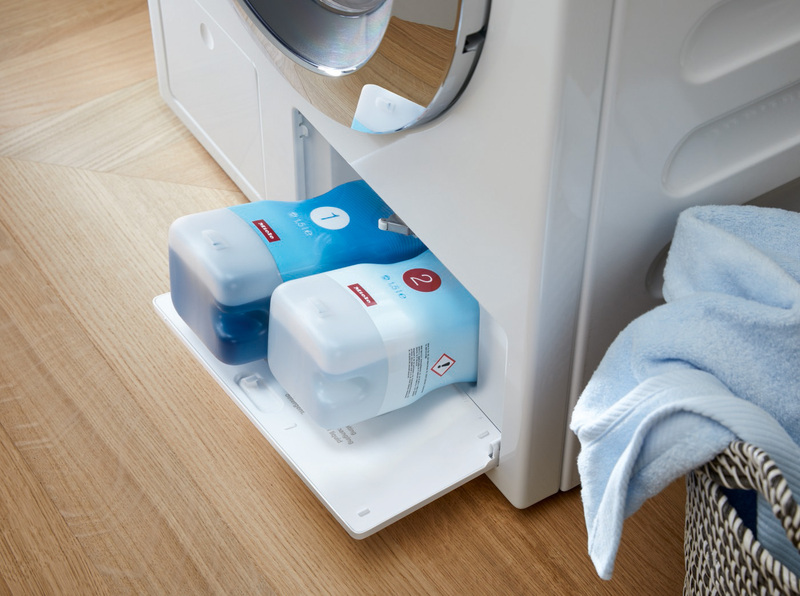 The laundry units are available from Miele Chartered Agents and Miele Experience Centers. In addition, for your convenience you can also purchase online at miele.ca starting at $4,998 a pair. Company profile: Miele is the world's leading manufacturer of premium domestic appliances including cooking, baking and steam-cooking appliances, refrigeration products, coffee makers, dishwashers and laundry and floor care products. This line-up is augmented by dishwashers, washer-extractors and tumble dryers for commercial use as well as washer-disinfectors and sterilisers for use in medical and laboratory applications (Business Unit Professional). The Miele company, founded in 1899, has eight production plants in Germany as well as one plant each in Austria, the Czech Republic, China and Romania. 2016/17 turnover amounted to approx. EUR 3.93 bn with sales outside Germany accounting for 70%. Miele is represented with its own sales subsidiaries and via importers in almost 100 countries. The Miele company, now in the fourth generation of family ownership, employs a workforce of around 19,500, 10,900 thereof in Germany. The company headquarters are located in Gütersloh/Westphalia, Germany.